A decade ago, an idea began growing for a space devoted to nature, curated for the garden + home, and made to merge beauty + utility. 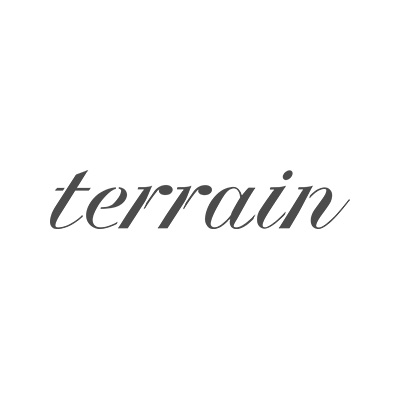 That seedling of an idea soon became terrain and in the spring of 2008, their first flagship store opened in Glen Mills, PA. Many seasons later, their assortment is still curated to find beauty in natural imperfection and to enhance a life lived outdoors + in. From flowering plants, seasonal wreaths, blooming gifts, and a few special items for your garden utility, to outdoor lanterns and lighting, garlands, and nature-inspired holiday décor, discover terrain's offering at Anthropologie & Co. Century City.